As I sit here in Detroit, just one week from the first puck drop at Nationals, it’s really hit me hard…..for the first time in over a decade, I won’t be there. Due to many factors, I have had to step away from “on the scenes” work at T2H4I this year, and over the last several weeks, helping to prepare for what will undoubtably be the best event yet, I’ve realized just how much the company, the sport and most importantly the people (both the staff and the customers) mean to me. The fact that I won’t be able to spend 10 days with the amazing staff of George, Mike and Chris to share countless laughs and memories, work with the two best “bosses” in the business in Ron & Joe, hang out with the referees, who too often go un-thanked for the hundreds of hours that they spend on their skates during the event, or reconnect with the players, coaches and families that even though we may only see each other one or two times a year, we never miss a beat and it seems like we’ve talked every day, that part really hurts the most. 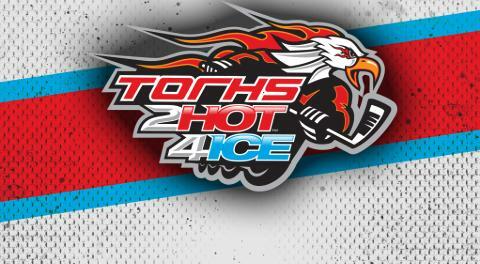 For all of you out there that may be new to TORHS2Hot4Ice, not only are you about to walk into one of the nicest venues used by a roller hockey tournament in the country, but you’re going to get a chance to meet some amazing people. Take some time out of your day to have a conversation with the staff, you have no idea how much it means to all of “us” to have those conversations, and it doesn’t just have to be about the event itself, we want to get to know YOU! I could go on for days, but before I go, I wanted to mention just a few of the many people that have made an impact on me, either personally or professionally that I know will be in Tampa next week outside of the staff. To Matt Koleski, Evil, “Z”, and the rest of the Detroit crew that is heading down, I’ll miss having a cold “beverage” with you and talking about the good old days of JDF! Jason Muro, the 7 straight days of countless laughing with you about old memories is one of my favorite part of Nationals each year, rehashing the registration room conversation from 2007 will never get old. Talking hockey with all of the St. Louis contingent including Micah, JP, O’Kane and countless other great families always made some of the rocky days at the rink turn in a positive direction. There are so many others that I know I’m forgetting here, guys like Vio, Wilfredo, Tim Harrington, Juan (I’m rooting for Colombia in the World Cup for you buddy!) Jerry and Dave Inouye, whether it was a casual conversation or you yelling at me about something crazy that happened in your game (LOL) it was always great seeing you at the rink! In closing, my advice to all of you reading this is don’t just focus on the wins and losses that happen on the rink, going home with some hardware is always the icing on the cake, but focus on building the relationships and memories that will last a lifetime, you never know when your last Nationals’ experience might be. Good luck to everyone the next couple of weeks, and most importantly travel safe and have a great time!